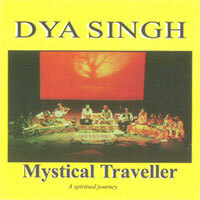 Mystical Traveller was produced in 1993. It was recorded Live at Scott Theatre, Adelaide. It is truely a Spiritual Journey of sounds. Featuring some of Australia's finest musicians. It intwines the Didgeredoo, Gypsy Violin, Spanish Guitar, Tabla, Bozouki and Vietnamese Zither with Dya Singh's Soulful Vocals. The introduction sets the scene in English, it than moves through to the primodial incantation of the Sikh, extolling the virtues of the Absolute, the Abstract, the Source of Reality .... GOD? 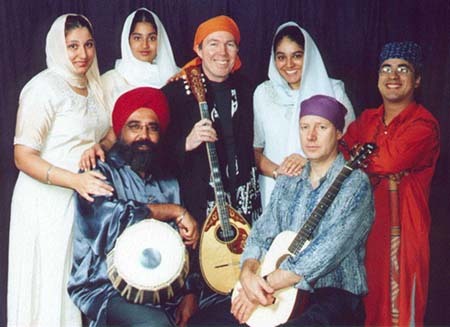 The CD also includes a Punjabi Folk Song and one of Dya Singh's famous Qawwali's.